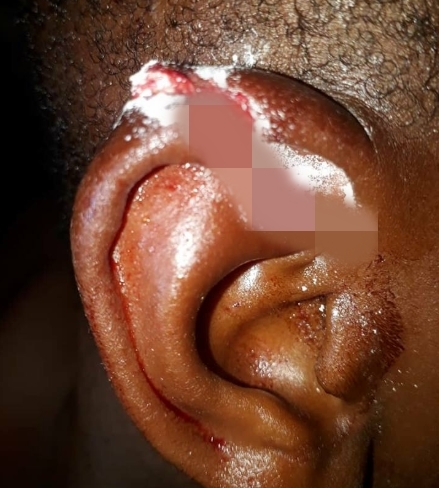 A little boy suffered an extreme brutality from his dad, yesterday, in Okigwe, Imo State, for allegedly being too stubborn. 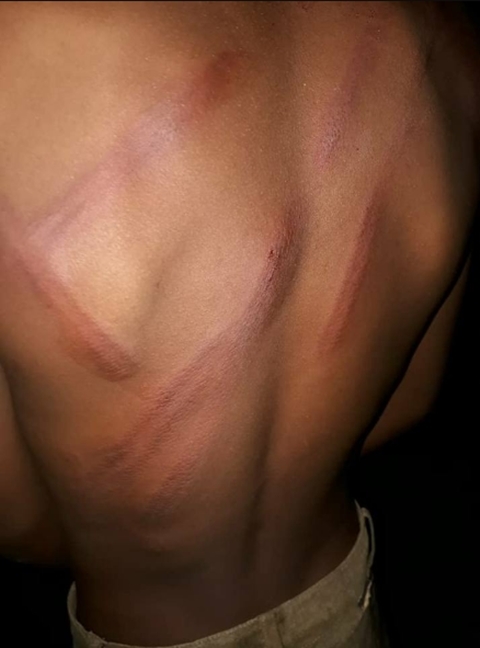 New and graphic photos have emerged online, showing how a wicked father brutalized his 7-year-old son for reportedly being too stubborn, leaving him with horrific injuries. According to online reports, the incident occurred in the Okigwe area of Imo state, after the boy, left home and his father had no idea of his whereabouts. It was gathered that when the boy finally returned, his father flogged him so much that the marks were visible on his back. He then proceeded to cut his son's ear with a razor. When neighbours intervened, the father told them that the boy is too stubborn and doesn't listen. The boy was eventually taken to the hospital where his ear is being treated.